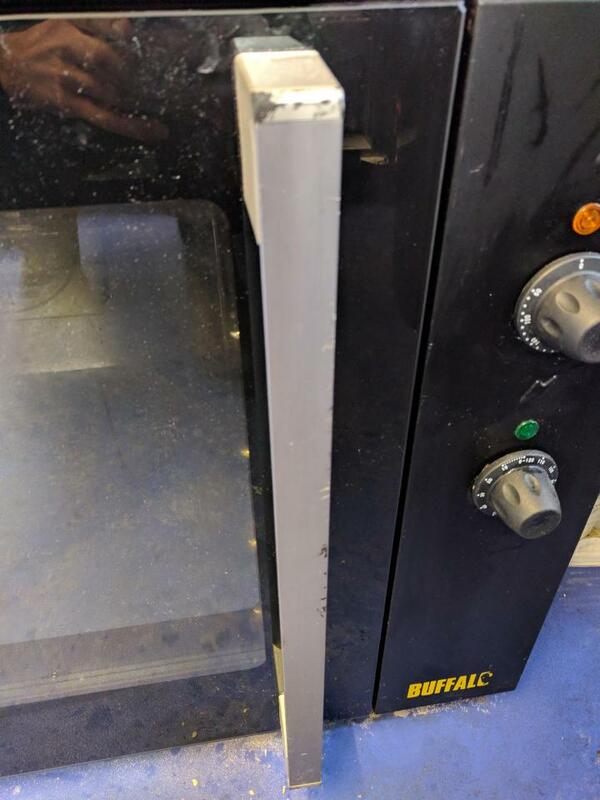 Our massive Buffalo 100ltr oven, about 3 years old but not used extensively. 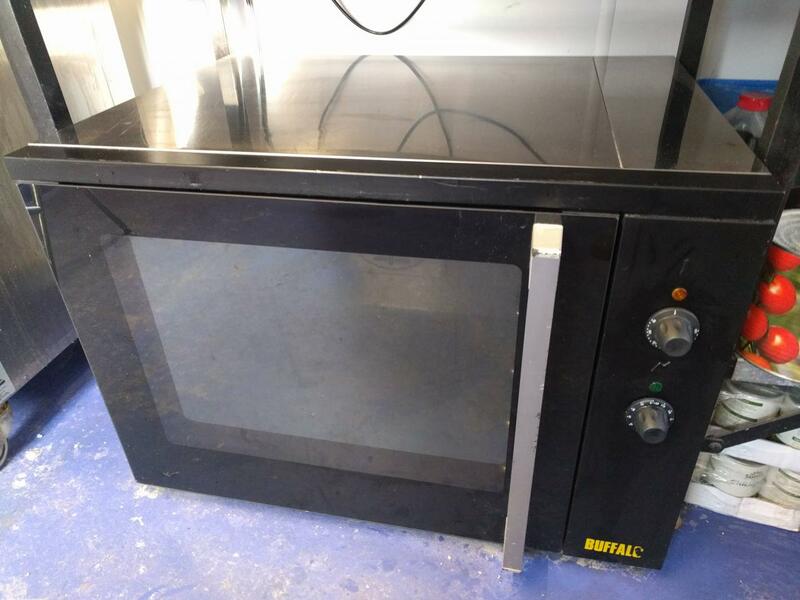 In excellent working condition apart from some scratches on the handle which were made when loading in through a narrow alley and some scratches on the top from storing stuff on it. Does not come with any shelves however as it is 1/1 gastro size I will include three used trays that can be used instead. Can be collected from Debenham, Suffolk or delivery can be arranged please message for pricing. - Dimensions W800 x D600 x H580mm. - Dimensions- Internal Oven: W580 x D430 x H580mm. - Temperature Range 50½C to 250½C. 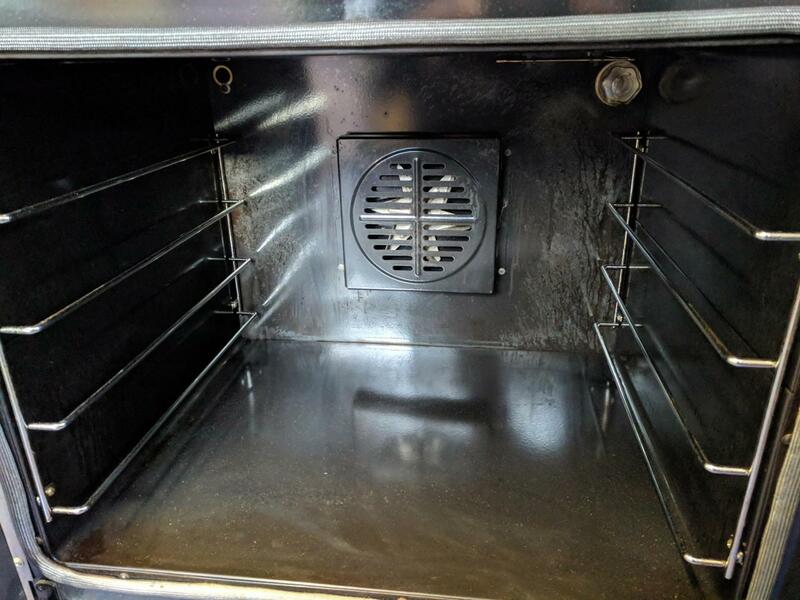 - Vitreous enamel oven coating. - Timer range: 1 - 120 minutes. I also have the 50L version with a stainless steel Burco door for £220. Let me know if you have any questions.